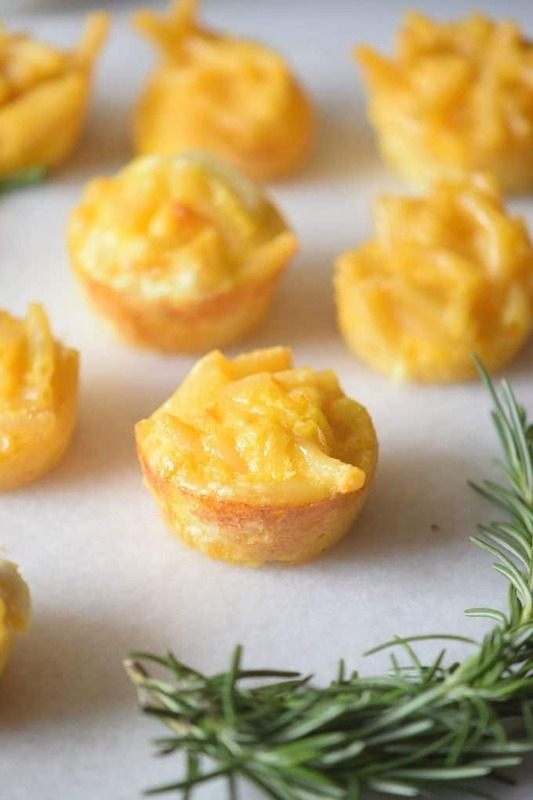 When it comes to appetizers, Mac and Cheese Cups are the stars of the night. I may have something to confess, I have a little addiction for mac and cheese. Yes, the cheesy melty homemade one. For me, it’s comfort food at its finest and there’s nothing else that can be better than that. And with the holiday season quickly approaching and all the parties, gatherings and get together that are around the corner, I was brainstorming for some appetizer ideas. The thing is I have a couple of requirements, it needs to be something easy, it needs to be a total mind blowing crowd favorite, and it needs to be made with things that I already have on hand or I normally use (because nothing is worst than having to purchase something you never use and then having leftovers). And after countless hours of Pinterest in the name of research I was not quite there yet. Sure I found some delicious ideas, but nothing like what I was looking for. 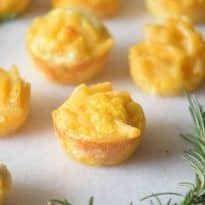 That’s when it hit me: Mac and Cheese Cups! So I went to the kitchen, tested a couple of recipes, did a couple of tweaks, ran a taste test with family and some neighbors to make sure, and then cooked some more. The result is this mind blowing good recipe that’s not only incredibly delicious but also completely fool proof. It’s also party ready so what else can a girl ask for? The recipe is incredibly easy to follow and straightforward I could spend my day saying that but seriously, check it out. There aren’t a lot of ingredients. There are definitely no crazy steps and there are no secrets. Once your cups are done you can also top them with some bacon, or add some grated cheese on top but all in all, they are delicious on their own. Guest post by Ana at Carmela POP. A little bite of comfort food! In a pot, boil salted water and cook the macaroni as package instructed. Remove from heat, drain, and place it in a bowl. Stir in the cheddar cheese, milk, butter, cream cheese, and parmesan cheese. Spray non-stick cooking spray over a muffin tin. Fill with the macaroni cheesy mix, and place it in the oven for about 15 – 20 minutes. Not only do these babies look delicious.. they are cute!! Cool appetizers even for a get together! I want to make these for my Holiday dinner. 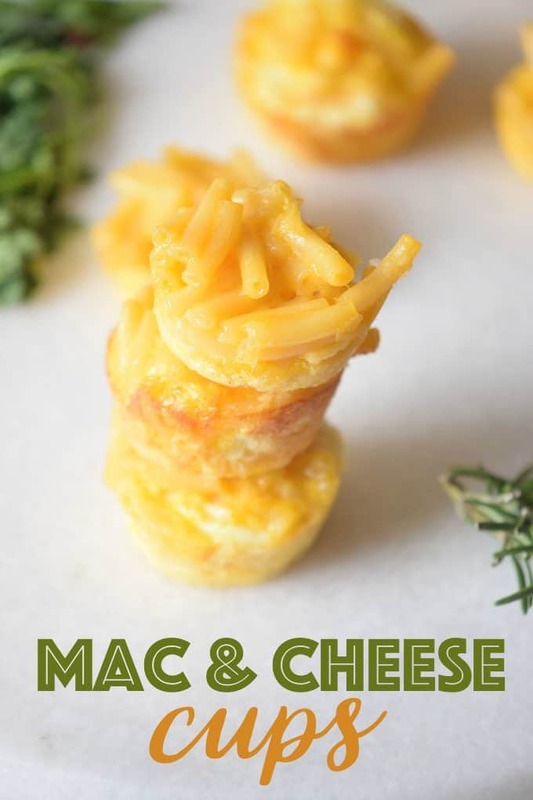 The mac and cheese cups are adorable and fun to make. Thanks for a great recipe! Yum! These will be such a bit hit with my family!!!! They look great, will have to make some up for our Christmas Eve Appetizer dinner. Thanks for the recipe. I can’t wait to try these,but i’m afraid i would eat most before the party…. Love that you’ve included parmesan, this would be a hit in my kiddos lunch box too! Eating Mac N Cheese with my hands… it’s a Christmas miracle!!! Love everything about these little cuties! 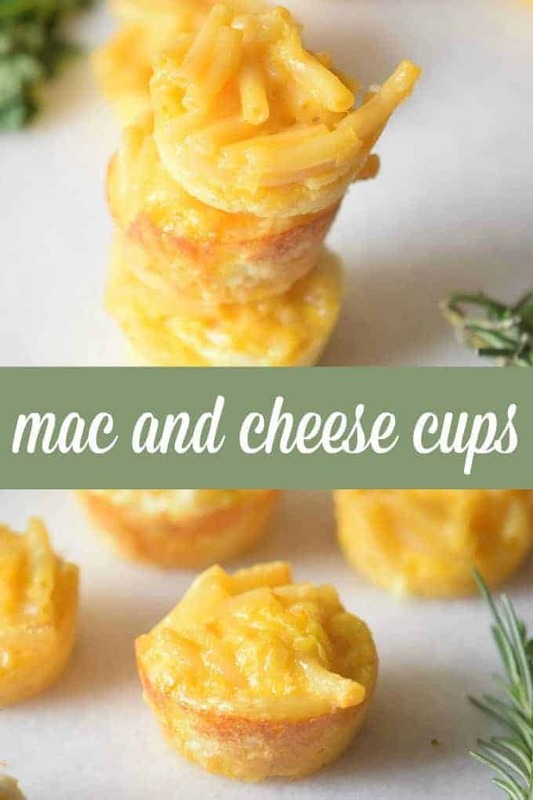 Mac and cheese cups look yummy. I can’t wait to make them and enjoy! Can I make this into Crab Mac and Cheese Cups? Sure! I bet they would be tasty. Thanks for catching that. It should be 1 tbsp butter. I’ve updated the ingredients list! Do you use a mini muffin tin or a regular muffin tin? Is this made with the kraft macncheese? The noodles look familiar lol And is the cheddar that you used shredded or the powder packet? Seriously asking I can’t wait to try these! And did you use a mini muffin tin or regular? Hi Amber, Ana at Carmela Pop is the creator of this recipe. She used a mini muffin tin. I think the cheese was shredded, but I bet the powdered packets would work too! 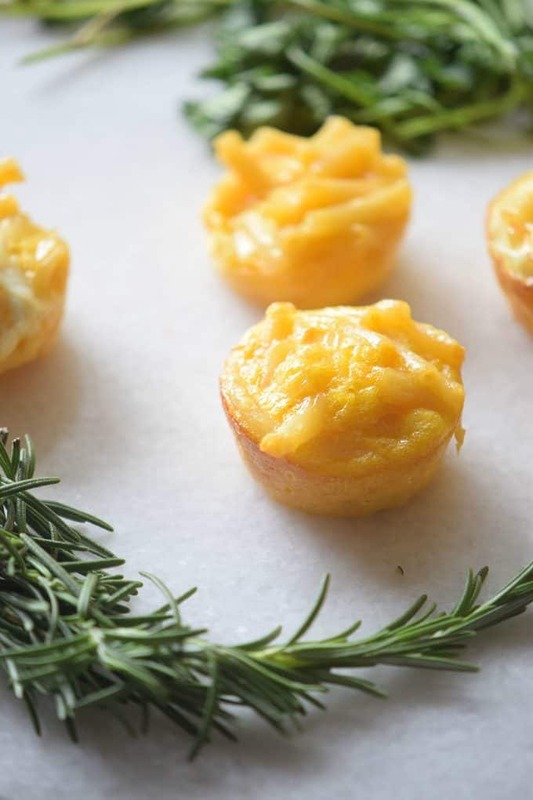 I love these little Mac N Cheese Cups they are so good! Thanks so much for sharing your awesome recipe with us at Full Plate Thursday! Hope you are having a wonderful week and hope to see you soon! This would be a nice change of pace from the regular pot of mac & cheese I usually serve up. I ought to give these a try. I bet my family would love them. These look crazy good! I too am a fanatic for mac-n-cheese. Thanks for sharing. Adding this to my Pin board!